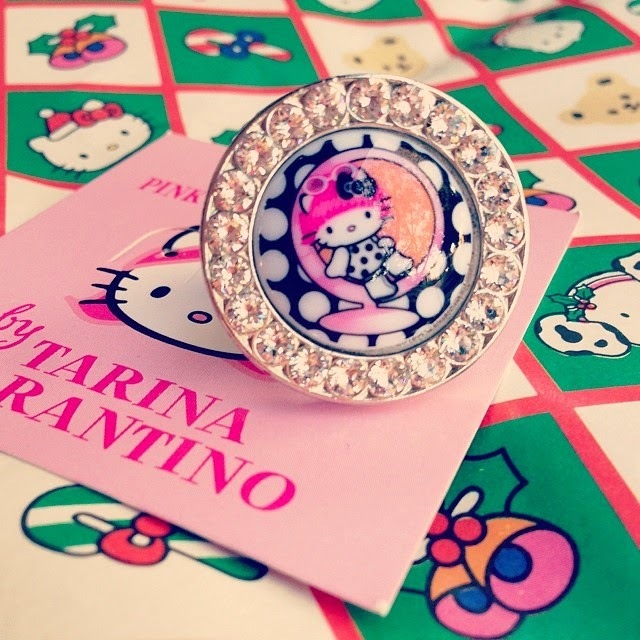 I've always wanted to buy a Hello Kitty ring from the fashion jeweler, Tarina Tarantino, but I never really found *the* perfect design that would capture my eye for eternity. At last, I've found the ring. This ring is perfect in every way. The pink head mod design is what attracted me into buying my first Tarina Tarantino jewelry. The Swarovski crystals adds a sparkly shine to the ring, making it more stylish and chic. I'll definitely be buying more Hello Kitty rings from this fashion jeweler!